From the Japanese tsunami to dressing your children “like tramps”, check out the ten most shared articles on Facebook so far this year. 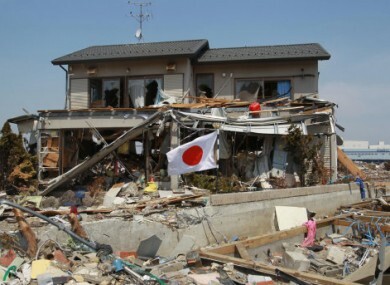 File photo of a house in Japan's Miyagi Prefecture which was destroyed by the 11 March earthquake and tsunami. FACEBOOK has been looking back over the past year in articles shared through the social network, and has compiled the 40 most shared pieces. Three of the top 40 articles concern Steve Jobs, while others listed include coverage of Zodiac sign date changes, the Japanese earthquake and tsunami, and the sudden death of Jackass star Ryan Dunn. The 40 articles are listed from just six news sites: CNN, Yahoo, The Huffington Post, the New York Times, the Washington Post and the Wall Street Journal (which was cited for one story). Email “Slideshow: The most shared articles on Facebook in 2011”. Feedback on “Slideshow: The most shared articles on Facebook in 2011”.